Ahead of the 24th World Youth and Student Travel Conference – WYSTC 2015 – which is taking place in Cape Town, South Africa from 22 – 25 September, WYSE Travel Confederation will be exhibiting at WTM Africa 2015 later this month. If you’re attending WTM Africa, meet with Juliet Stevens (Marketing Manager) and Eric Oosterom (Events Manager) on stand A46 from 15 – 17 April. We are particularly looking to meet with buyers – including wholesalers, retail travel agents, online travel agents and inbound tour operators that send youth, student and educational travellers abroad – who are interested in applying for the WYSTC 2015 hosted buyer programme, in partnership with Emirates Airline. To arrange a meeting with Juliet or Eric, connect with them through the WTM Africa appointment tool (search for WYSE Travel Confederation), or email them directly at communications@wysetc.org. 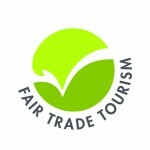 We have also teamed up with Fair Trade Tourism to host a networking reception, which will be taking place on stand J40 on Wednesday, 15 April from 16:30 – 18:00. Juliet Stevens, Marketing Manager at WYSE Travel Confederation said: “We are very much looking forward to bringing WYSTC to Cape Town this September and are delighted that our planned site visit coincides with WTM Africa 2015. “In addition to meeting with buyers who are seeking products, services and experiences to include in their programmes and may be eligible for a fully hosted buyer place at WYSTC 2015, we also keen to meet with organisations who may be interested in building their profile through sponsoring and/or exhibiting at WYSTC 2015 – and those simply interested in finding out more about how WYSTC can benefit their business. 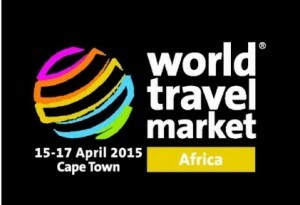 Registration for WYSTC 2015, which will take place in Cape Town, South Africa from 22 – 25 September 2015, will open in early 2015. Click here to apply for a WYSTC hosted buyer place.